Propolis extract helps to repair and strengthen the skin’s barrier. Use often to soften skin and prevent dryness and cracking. Manuka honey is produced in New Zealand by bees that pollinate the native manuka bush. It is common knowledge that all honey contains a natural occurring enzyme which produces hydrogen peroxide, a known antiseptic with proven antibacterial properties. However, with manuka honey, the nutritional content can be 4 times higher than normal flower honeys. Honey producers have developed a scale for rating the potency of manuka honey. The rating is called UMF, which stands for Unique Manuka Factor. UMF® ensures that all manuka honey sold with the mark has been independently tested for its methylglyoxal level and must have been packed and labeled in New Zealand. To receive a UMF® grading, a honey must have the presence of DHA (dihydroxyacetone), methylglyoxal, and leptosperin. The UMF® rating is a measure of the attributes and values that make up manuka honey, and assures purity & quality. UMF 20+ manuka honey has a methylglyoxal level of approx. 830 mg/kg. The UMF rating is thought to correspond with the concentration of methylglyoxal and other compounds. Most genuine high-grade manuka honey from New Zealand includes a UMF rating on the label. Some honey producers instead use an MG (methylglyox) or MGO rating. MG is, besides hydrogen peroxide, another antibacterial component in manuka honey. It is found in most types of honey, but usually only in small quantities. The higher the concentration of MG, the stronger the antibiotic effect. Honeys without a UMF or MG/MGO rating are generally low-grade honey without the beneficial characteristics that have made premium manuka honey so much in demand. However, not all manuka honey contains the active ingredient Methylglyoxal. Manuka honey with levels of activity less that UMF 16+ ,MGO 250+ does not have powerful antibacterial, antiviral, antiseptic benefits. 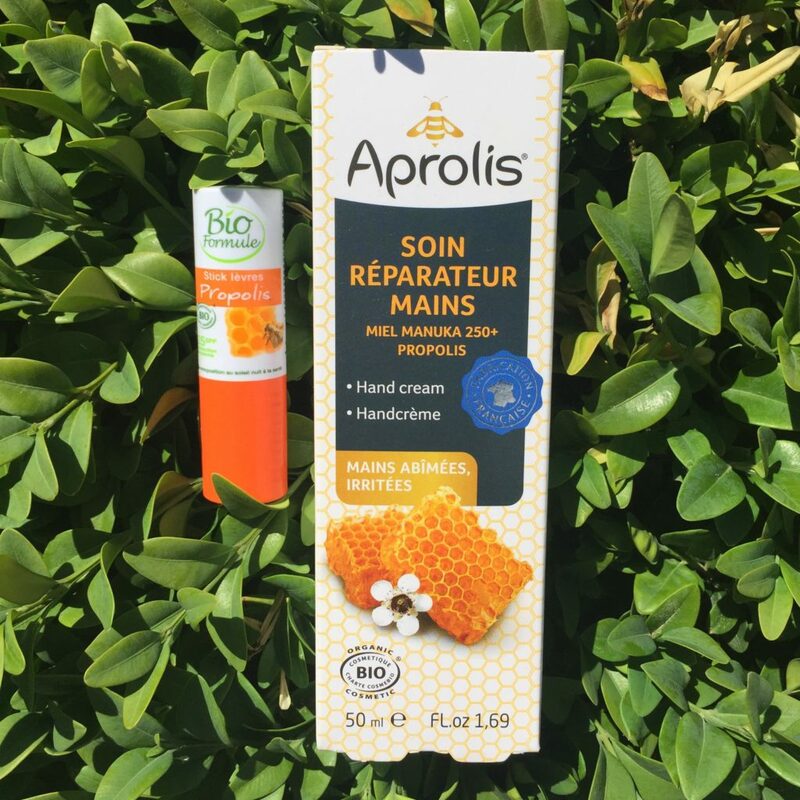 The hydrating and antibacterial properties of UMF® manuka honey have been shown to alleviate and improve skin conditions such as dermatitis and eczema (the Aprolis hand cream has No UMF® label). Due to the fact that it has an Ecocert label, an SPF and contains propolis and other natural ingredients, the product sparked my interest right away. It does leave a whitish finish but lasts a super long time on the lips. 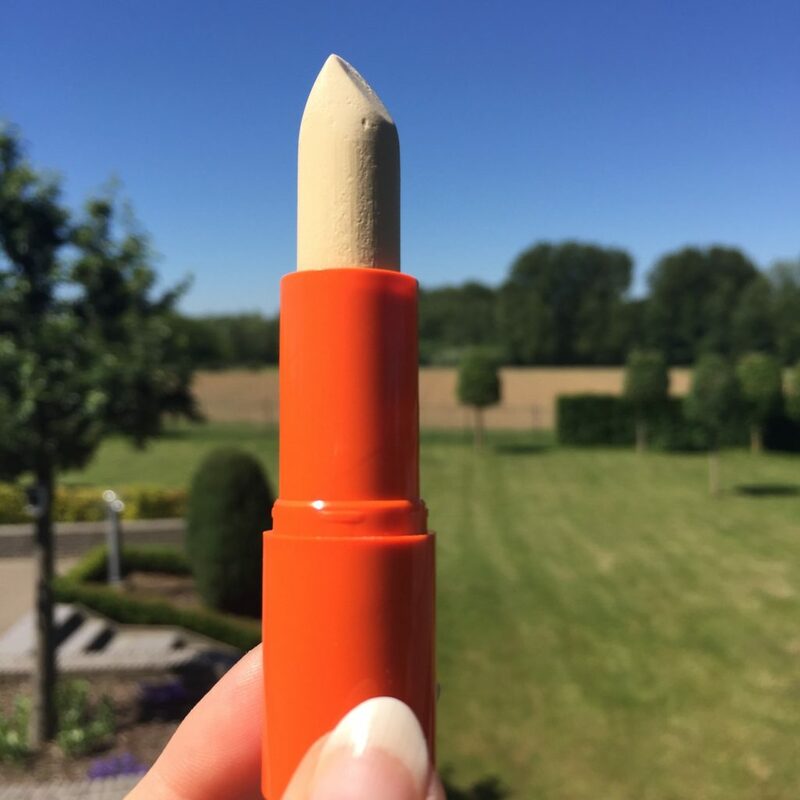 Furthermore, it has no fragrance or shine and the SPF 25 protects your lips against UVA/UVB rays. *According to the The Skin Cancer Foundation (www.skincancer.org), vitro tests have shown that SPF 15 sunscreens filter out 93 percent of UVB rays, while SPF 30 protects against 97 percent and SPF 50 98 percent. But remember, it is important for the sunscreen to include broad-spectrum protection that also shields adequately against UVA. I love the natural “honey” smell of the hand cream. It’s not greasy or oily and absorbs very fast in the skin. It is easy to apply and leaves the hands well nurtured. As mentioned above, propolis extract helps to repair and strengthen the skin’s barrier. It softens the skin and prevents dryness and cracking. Manuka honey is used for its hydrating and antibacterial properties. I’m very happy with both products. 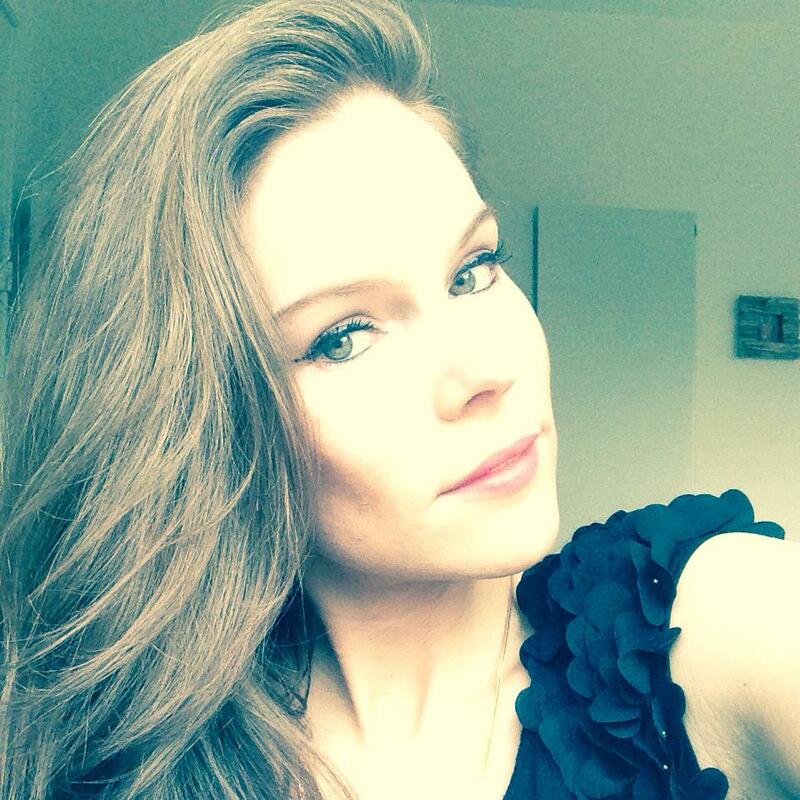 Don’t forget to follow me on Instagram ;)!